US sitcom and Roseanne spin-off The Conners has been renewed for a second season. John Goodman, Laurie Metcalf, Sara Gilbert, Lecy Goranson, and Michael Fishman will all return, although the episode order is speculated at 13 episodes which would be up on 2018’s 11. The series has been averaging 7.5 million US viewers since it emerged from the rubble of Roseanne. But the news comes at the same time as Roseanne Barr pointed the finger at her former cast mate Sara Gilbert. This week Barr said, “She destroyed the show and my life with that tweet. Some people just cannot accept the consequences of their own actions….they lay the blame everywhere, but where it belongs. After looking at the IMDb reviews for The Conners I have just one question – how could this boring rubbish get another year?? 7.5 million viewers in the US watch it?? And probably another 7.5 million viewers who can’t stand it!! All is forgiven Roseanne – come back! Have the season two season opener make out that season one was all a bad dream and it never happened – just like Dallas did in the 1980s, with Bobby’s death. Because reviews on IMDb are so reliable…. I found The Conners an excellent show. The opening episode for how Roseanne died was very well done given the extreme circumstances they found themselves under. 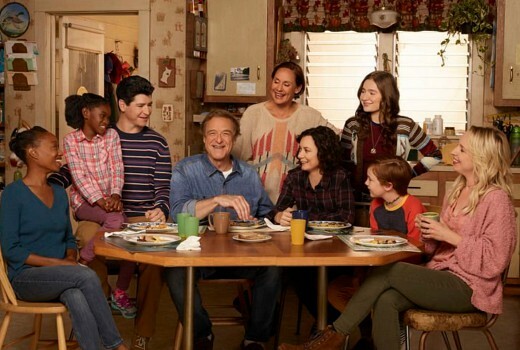 If nothing else, The Conners means 200+ crew members remain employed, whereas if the spinoff didn’t exist, they would have been out of work, due to Roseanne’s actions (which, for the record, I don’t believe were malevolent, just a stupid comment, but the network had the right to act as they see fit). That being said, people need to let Roseanne be now. She has definitely suffered enough. The loss of her life’s work is more than enough punishment (probably too much). When Roseanne was sacked, the far right trolls went beserk on imdb.com. They flooded the site with 1 star reviews. Roseanne has never accepted responsibility for her stupid actions. She blames everyone else for what happened. Sorry – she made her bed and she now has to lie in it. I have zero sympathy for racist trump supporters. Yes, but there comes a time when you stop punishing someone for their actions. She made a stupid comment, in her own words (soundcloud.com/user-642636263/episode-1-roseanne-barr). And she regrets it. She has actually apologised numerous times. People don’t have to like her or respect her, but they should lay off her, especially given it is known that she suffers from mental health issues. Not everything is black and white. Just because she supports Trump doesn’t mean she isn’t still a human being. Agree. This notion that you can never be forgiven for a past transgression on social media is just as extreme. Because the ratings say it outperformed every single other sitcom on the (American) ABC? By some margin? Yep pretty much and against the opposition was good for 8pm on a Tuesday Night.